I actually kind of love anonymous bloggers. 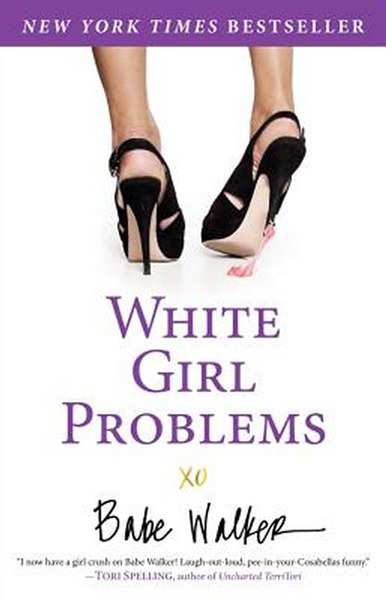 Let’s take the author of White Girl Problems, Babe Walker, as an example. Now that her second book is about to hit the shelves, her readers are full aware that her life is actually entirely made up, but it kind of makes it all the more better. It was announced a little over a year ago that Babe Walker is actually three different people, two females and one male, who banded together to create this persona. Everyone jokes about white girl problems, just like first world problems, but Babe Walker takes it to such extremes that it becomes absolutely hilarious, though somehow readers can still relate in someway. I read the first book and pretty much fell in love. I literally laughed out loud on multiple occasions while reading the book and can’t wait to get my hands on the second one. Following White Girl Problems on social media provides me with daily hilarity, while also making me feel like someone can relate to the most outrageous and ridiculous “problems” that I, and white girls everywhere, have. Even though I know that three different people write the blog and that it is all made up, there is still some level of truth to it. When I read the posts I can imagine this gorgeous girl named Babe sitting behind her computer writing it all while she screams ridiculous things at her intern. I was so sad when I found out she wasn’t a real person.